Cooking up funds for Breast Cancer Research. This widely received cookbook written by Janice Stompro, 3rd generation breast cancer survivor, has earned thousands of dollars for breast cancer research. Sort and wash beans. In a metal skillet, heat oil over medium-high heat. Add sausage and brown. Add shallots and garlic for 1 minute more; stirring constantly. Add about a cup of the chicken broth to the pan to remove all the wonderful bits of browned flavor stuck to the bottom of the pan. 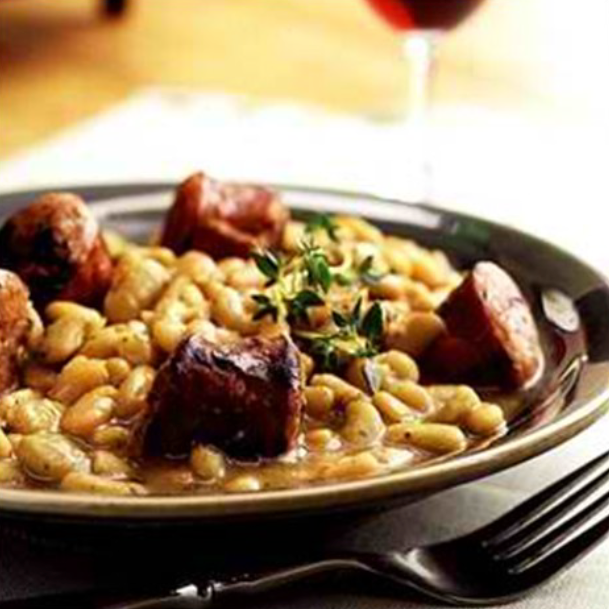 Place all ingredients into a Crockpot and cook on high for about 8 hours or until beans are tender. Serves 8 or more.